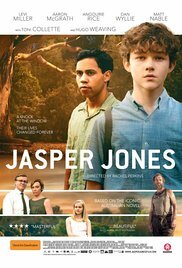 One of the most hotly anticipated film releases for this year-- for me, anyway-- was the film adaptation of Jasper Jones by WA author, Craig Silvey. Some of you may know that I wrote my Honours thesis on the novel, back in 2012, so I approached this film with a degree of trepidation. Whenever a beloved book is adapted for the big screen, there is always the possibility that it will be a let down. Reading is such a personal experience, whereby the novel gives you just enough information to allow you to imagine its world all on your own-- what the characters look like, what particular events might mean, and why certain things may have occurred. When those books are adapted for the movies, sometimes what the director and the cast and the screenwriter choose to portray can be in direct contrast with your own thoughts. And sometimes, that's just a plain disappointment. Let me just preface this blog post by saying that I am not a professional film critic, and that I am by no means an expert on Australian cinema. But Jasper Jones has been my favourite novel for a long time, and while I was incredibly excited to see the film, I was also terrified that maybe watching someone else's version of it on the big screen would be a let down, or change the way I saw the book. If it sounds like I am setting up to pan the film, you can relax-- I'm not. Critics have compared the movie to Stand by Me, and I can certainly see where that comparison comes from. In both films, we are presented with protagonists who are wrenched from childhood by events beyond their control. In Jasper Jones, that character is Charlie Bucktin, played by Levi Miller who some may recognise as the boy from Pan and Red Dog. Miller's portrayal of Charlie Bucktin, a deeply introverted and introspective character, is a real highlight of the piece. Everything he does just flows, it makes sense. There is never a line of dialogue out of place. Considering that this is a film with very limited voiceover (I can think of one scene, very early one when it is used), Miller is faced with the enormous burden of conveying Charlie's character non-verbally. This is a particular challenge, because readers of the novel come to Charlie's character through his voice-- Charlie is the one telling us the story. But in the film, he can't do that. He can't explain to us how he feels about Eliza Wishart, or how he's fascinated by Jasper, or how much the racism in the small town of Corrigan makes him furious and confused. All that considered, I think Levi Miller's performance really made this film. One result of the change of point of view afforded by the novel was we got a much more sympathetic portrait of Charlie's mother, Ruth, played by Toni Collette. In the novel, Ruth is almost an antagonist. She seems unreasonable and she's always yelling at Charlie for things and meting out cruel and unusual punishments-- such as when she makes him dig a massive hole for no reason and then fill it in. But in the film, we're not just seeing Ruth through Charlie's eyes, and at first, that really jarred me. When Ruth tucked Charlie in, kissed him on the head and made him put his book away, I found myself thinking that I was going to have a really hard time hating her later on. But looking back now, I think that was the point. The addition of a scene in which Charlie stumbles upon his mother dancing in the kitchen goes a long way towards explaining why Ruth is so unhappy-- she feels trapped. She has secret longings. She's bored out of her mind, and that's why she does what she does-- she leaves. The moment in the film where she tells Charlie why absolutely broke my heart. The actors got that scene so right, and while it's different to the book, it works. In a Q and A session after the screening, author Craig Silvey, who was one of the screenwriters, explained to us that the reaction came from Levi Miller himself. When director Rachel Perkins asked him to run it again with less emotion, Miller explained that Charlie had just had the most tumultuous week of his young life and that this was the first time he'd had a chance to express that. And so the moment stayed. No, it's not a perfect film, but was any adaptation of my favourite book ever going to be? It's a movie that bears watching, and I hope rewatching, full of stunning shots that could only have been taken in the South West of WA. It's a story that could only have happened here, and a story that has captured the hearts of so many readers. The book is now being studied in secondary schools. And sooner or later, someone was always going to make it into a movie. So I'm glad that it was this team, who clearly love what they do, because they've done a wonderful job. 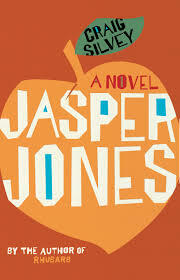 Thanks so much for this excellent review of —Jasper Jones — the novel and film version. I'm afraid I didn't think much of the novel, so it’s interesting to hear its one of your favourite novels, Emily! I absolutely loved Craig Silvey's first novel Rhubarb, I thought it was brilliant. I’ve also noticed on Goodreads that you weren’t exactly smitten with the novel —Cold Comfort Farm — by Stella Gibbons. Now this gem of a book is one of my all time favourite novels. I find the subjective nature of a reader’s response to a novel endlessly fascinating.